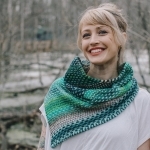 The Shift bundle kit is the collaboration between Spincycle Yarns and Andrea Mowry. 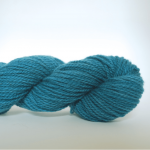 Spincycle’s ‘Dyed In the Wool‘ is a well-known Spincycle Yarns classic. 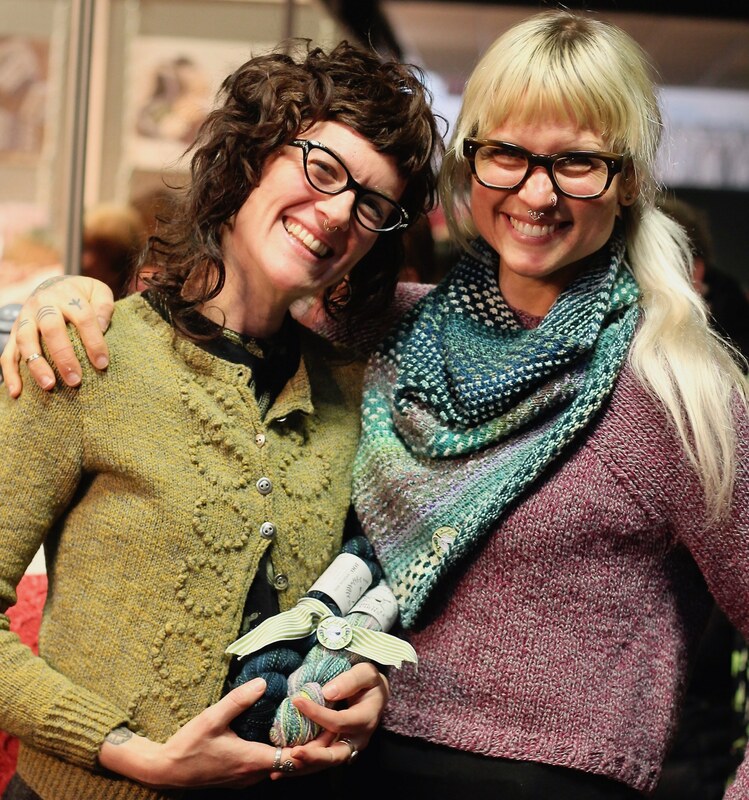 Rachel and Kate, the ‘Spinsters’ at Spincycle headquarters have merged the beauty and texture of a handspun yarn with the efficiency of a millspun. 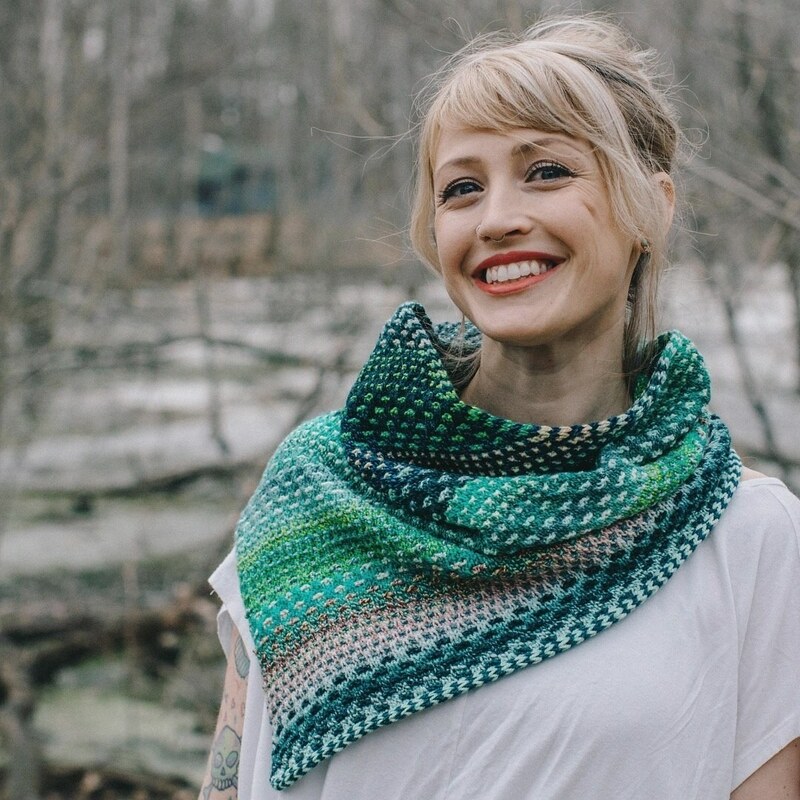 The ‘Shift’ bundle is a set of three skeins made in collaboration with Andrea Mowry, pattern designer and yarn enthusiast, who has created a shawl with these three colours. 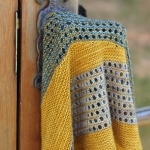 The trio is made up of three exclusive colours – Leith, The Castle and The Meadows and the pattern is available on Ravelry. 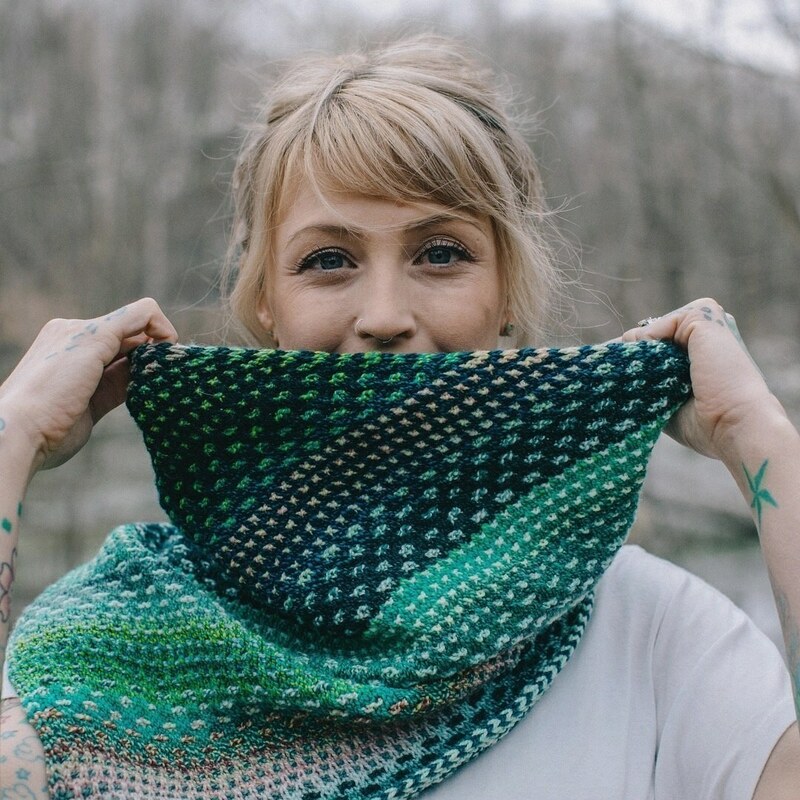 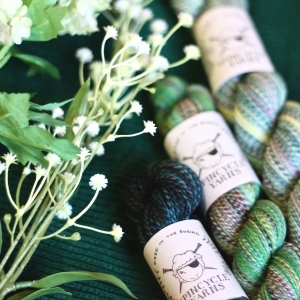 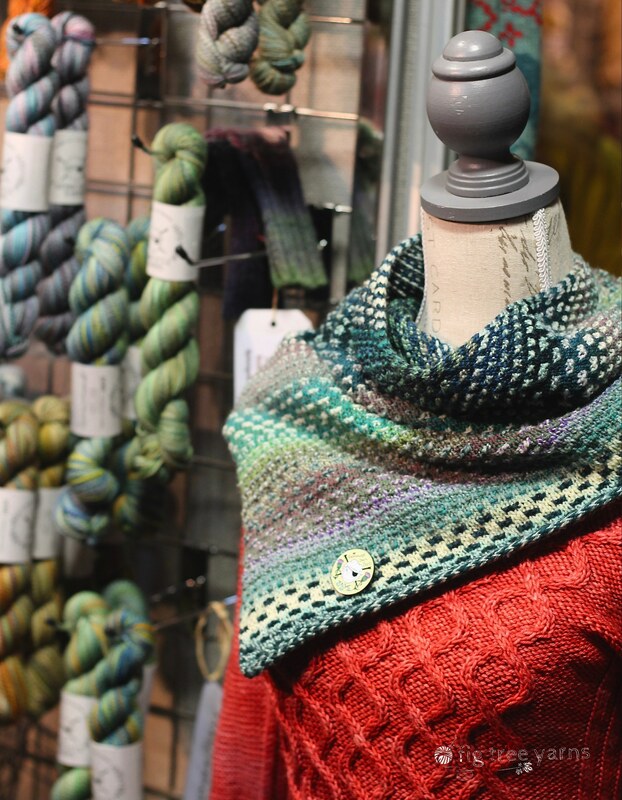 If green isn’t your colour but you’d still like to make the shawl using your own colours, create a colour combination of your own out of the wide variety of ‘Dyed In the Wool’ singles available on our site here! 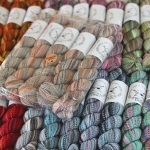 As the fibre is dyed before it is spun, the colours meet and part ways in stunning, unique combinations with a long colour change. 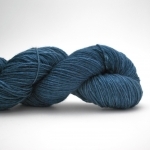 The colour transitions in ‘Dyed In The Wool’ are slow and dramatic, and each skein is unique. 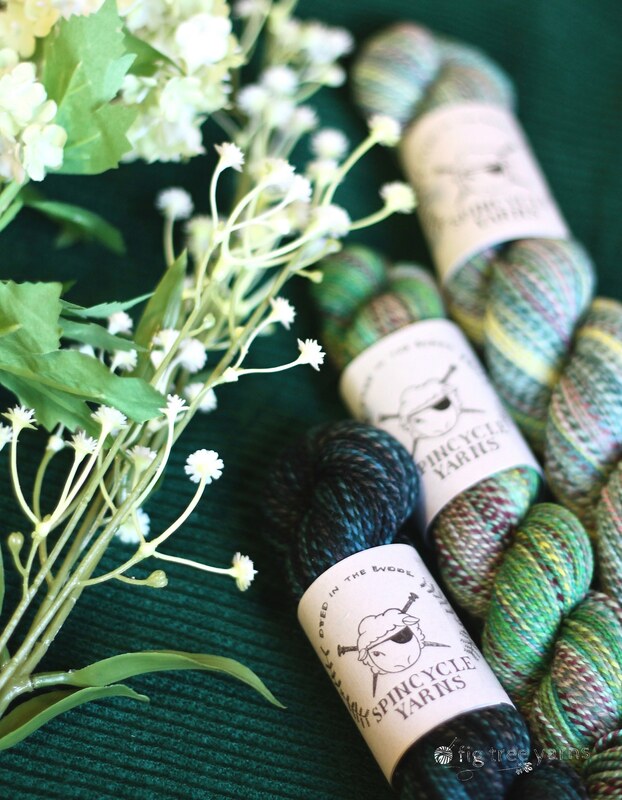 Think of each skein as a colour palette: the overall effect is of a balanced seamless whole but when planning projects requiring more than one, remember to allow for nuance.